The Legislatures of the United Kingdom are derived from a number of different sources from both within the UK and through membership of the European Union. The Parliament of the United Kingdom is the supreme legislative body for the United Kingdom and the British overseas territories with Scotland, Wales and Northern Ireland each having their own devolved legislatures. Each of the three major jurisdictions of the United Kingdom (England and Wales, Scotland and Northern Ireland) has its own laws and legal system. The UK Parliament meets at the Palace of Westminster in London. The Parliament of the United Kingdom of Great Britain and Northern Ireland (commonly known as the UK Parliament, the British Parliament, the Westminster Parliament or "Westminster") is the supreme legislative body for the United Kingdom and also for English Law. It alone possesses legislative supremacy and thereby ultimate power over all other political bodies in the UK and its territories. Its head is the Sovereign of the United Kingdom (currently Queen Elizabeth II) and its seat is the Palace of Westminster in Westminster, London. The United Kingdom Legislation may take the form of Acts (passed directly by Parliament) or Statutory Instruments, made under the authority of an Act of Parliament by either a government minister or by the Queen-in-Council. The latter are generally subject either to parliamentary approval (affirmative procedure) or parliamentary disallowance (negative procedure). The majority of Acts considered in the UK are defined as public general acts, or 'Acts of Parliament' as they will have progressed and gained approval as a Bill through both House of Commons and House of Lords, and also have gained Royal Assent from the Monarch. Local and Personal Acts of Parliament are also presented to Parliament as a result of sponsored petitions. These, however, are processed through committees to enable relevant or affected parties to challenge or change the proposed Act. Prerogative instruments, made by the Sovereign under the royal prerogative are another source of UK-wide legislation.. The UK Parliament is responsible for all matters relating to defence and all foreign affairs and relations with international organisations, particularly the United Nations, the Commonwealth and the European Union. With there being no devolved legislature in England the UK Parliament is also the supreme body for its governance, legislation, public bodies and local government. The House of Commons is the lower house of the Parliament of the United Kingdom and is an elected chamber consisting currently of 650 members known as Members of Parliament (MPs) which are elected using First past the post in single-member constituencies with 533 elected from England, 59 from Scotland, 40 from Wales and 18 from Northern Ireland. The House of Commons is now considered to be the supreme chamber of Parliament. The House of Lords is the upper house of the Parliament of the United Kingdom however it is an unelected chamber with all members to the House of Lords being appointed. As of August 2018, there are currently 793 members known as "Peers". The House of Lords no longer has the same powers as the House of Commons under the Parliament Acts of 1911 and 1949 especially when it comes to blocking general legislation and the passing of financial legislation. The Scottish Parliament meets at Holyrood in Edinburgh. The Scottish Parliament is the national, unicameral legislature of Scotland, located in the Holyrood area of the capital, Edinburgh. The Parliament, informally referred to as "Holyrood", is a democratically elected body comprising 129 members known as Members of the Scottish Parliament (MSPs). Of these 73 MSPs are elected using First past the post in single member constituencies and a further 56 MSPs are elected using the D'Hondt method, a form of party-list proportional representation in eight additional member regions with each region electing 7 MSPs. The Scottish Parliament was convened by the Scotland Act 1998, which sets out its powers as a devolved legislature. The Act delineates the legislative competence of the Parliament – the areas in which it can make laws – by explicitly specifying powers that are "reserved" to the Parliament of the United Kingdom: all matters that are not explicitly reserved are automatically the responsibility of the Scottish Parliament. The British Parliament retains the ability to amend the terms of reference of the Scottish Parliament, and can extend or reduce the areas in which it can make laws. The first meeting of the new Parliament took place on 12 May 1999. The National Assembly for Wales has the power to make legislation in Wales. The Assembly was created by the Government of Wales Act 1998, which followed a referendum in 1997. It is a democratically elected body with 60 members known as Assembly Members (AMs). Of these 40 AMs are elected using First past the post in single member constituencies and a further 20 MSPs are elected using the D'Hondt method, a form of party-list proportional representation in five additional member regions with each region electing 4 AMs. The Assembly had no powers to initiate primary legislation until limited law-making powers were gained through the Government of Wales Act 2006. Its primary law-making powers were enhanced following a Yes vote in the referendum on 3 March 2011, making it possible for it to legislate in the 20 areas that are devolved without having to consult the UK Parliament, nor the Secretary of State for Wales. The Assembly may also delegate authority to enact legislation through Welsh Statutory Instruments. Under the Wales Act 2017 the Assembly came into line with Scotland and Northern Ireland and moved to a resevered powers model. It is expected that the National Assembly for Wales will be renamed the "Welsh Parliament" before the next scheduled election in 2021. The Northern Ireland Assembly meets at Stormont in Belfast. The Northern Ireland Assembly is the devolved legislature of Northern Ireland which is a democratically elected body comprising 90 members known as Members of the Legislative Assembly (MLAs). The 90 MLAs are elected using the single transferable vote across the 18 Westminster Parliamentary constituencies with each constituency electing 5 MLAs. It was established in 1998 as part of the Good Friday Agreement which was approved by the public in referendums which were held in both Northern Ireland and in the Republic of Ireland. It has power to legislate in a wide range of areas that are not explicitly reserved to the Parliament of the United Kingdom, and to appoint the Northern Ireland Executive. It sits at Parliament Buildings at Stormont in Belfast. Legislation of the Assembly empowers the Northern Ireland Executive to issue Statutory Rules in a variety of areas. The Assembly has not met since 26 January 2017 owing to a breakdown of trust which brought down both the Assembly and Executive. 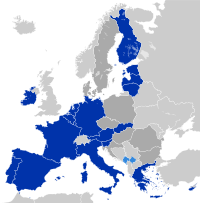 As a member state of the European Union (EU) under the European Communities Act 1972 the decisions, directives and regulations of the EU are directly applicable with full legal force in the United Kingdom and is also supreme to all domestic legislation, in effect another source of UK legislation. The United Kingdom became a member when it joined what was originally known as the European Communities on 1 January 1973. Currently the United Kingdom is negotiating its exit from the organisation and its institutions following a referendum in 2016 which resulted in a narrow majority vote in favour of leaving and was expected to officially leave on 29 March 2019 but had seeked an extension until April 12th ( If it couldn’t pass the Withdrawal Agreement). And is currently seeking another extension until June 30th. The European Parliament (EP) is the directly elected parliamentary institution of the European Union. Together with the Council of the European Union (the Council) and the European Commission, it exercises the legislative function of the EU. The Parliament is composed of 751 Members of the European Parliament (MEPs), who represent the second-largest democratic electorate in the world (after the Parliament of India) and the largest trans-national democratic electorate in the world (375 million eligible voters in 2009). The United Kingdom sends 73 members to the European Parliament, of these 70 MEPs are elected using the D'Hondt method, a form of party-list proportional representation in 11 regional constituencies in England, Scotland and Wales while in Northern Ireland 3 MEPs are elected using the single transferable vote in a single national constituency. ^ "Scottish Parliament Official Report – 12 May 1999". Scottish Parliament. Archived from the original on 26 February 2008. Retrieved 5 November 2006. ^ "Wales says Yes in referendum vote". BBC News. 4 March 2011. ^ "Welsh Assembly should change its name, agree AMs". BBC News. 5 July 2016. Retrieved 13 June 2017. This page was last edited on 6 April 2019, at 16:18 (UTC).